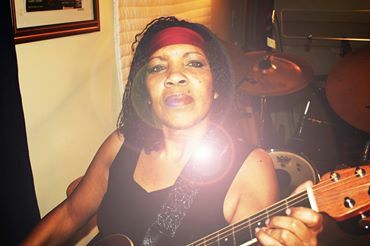 In her fifties, Tomaca Govan is learning how to play the guitar. I never wanted to be a guitar “rock star;” that’s not my goal, but I’ve always sung. And the guitar has helped to change my ear. It has opened music up a whole new dimension because I am hearing new sounds, new tones and new vibrations. And vibrations because the guitar vibrates and my body vibrates with it. It’s so cool. I understand more deeply how music is medicine. Because everything vibrates – down to the cells and molecules in our bodies. It we have good “vibes,” we have good health! When our vibes are off, we’re not well. I strongly suggest that anyone that ever wanted to learn how to do something new, do it! What are you waiting for? Circumstances may never be ideal. If it’s in your heart to do, jump on it! Who knows? One of these days I just might need show lighting by Chauvet for a really big gig! Haha! You never know what can happen when you develop talents and skills.